The MIT/X11 and the BSD are two of the most important family of Free and Open Source (FOSS) licenses. Because these licenses are to be inserted into the files that use it, and because they are expected to be changed by those who use them, their text has suffered alterations over time. Some of this variability is the result of licenses containing template fields which allow the license to be customized to include information such as the copyright holder name. Other variability can be attributed to changes in spelling, punctuation, and adding or removing conditions. 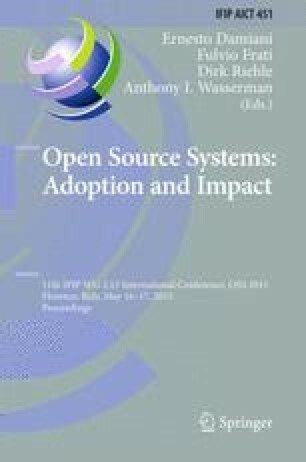 This study empirically evaluated the extent that the BSD and MIT/X11 family of licenses are varied, and the manner and frequency in which license texts vary from the original definition. The study found that the BSD family has little variability, with a significant proportion fitting the common standard. The MIT/X11 family of licenses exhibited significantly more variation, with a higher propensity to customize the license text. In addition, the MIT/X11 license has spawned several specialized variants which likely constitute different legal meanings. Based on these findings, recommendations are proposed on what variability needs to be accommodated by the Software Package Data Exchange (SPDX) which is in the process of standardizing the allowed variability of both licenses.